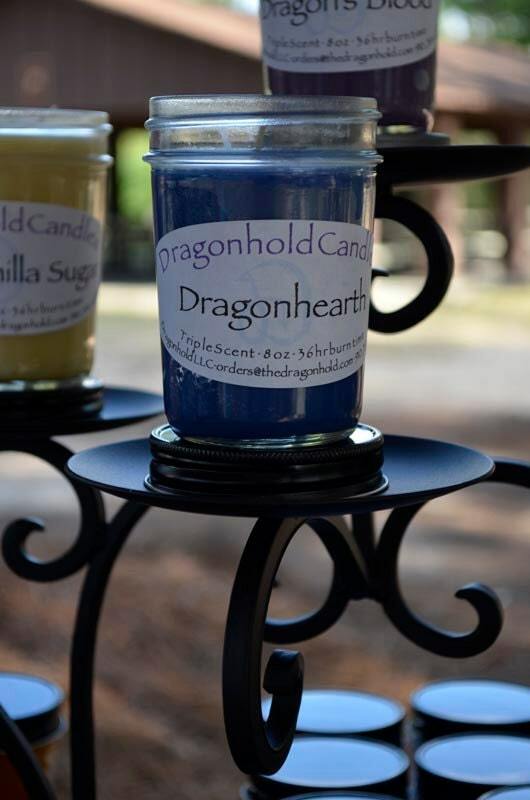 Dragonhearth: Reminiscent of a crackling fire, warm and woodsy with a clean fresh undertone. Purplish Blue in color. If you like Fireside type candles, you'll love this scent.